Boyle Family Dermatology (Westminster) - Book Appointment Online! 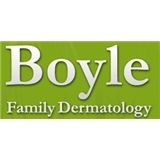 Boyle Family Dermatology offers comprehensive skin health services. Rashes, mole exams/removals, warts and skin cancer detection/treatments. Aesthetic services also provided including Botox, Juvederm,laser treatments. Like us on Facebook for all our cosmetic specials! Call today for an appointment with Board Certified Dermatologist, Sheila Boyle or Certified Physicians Assistant Kelly Pavelich. Please be advised there is a $25 no show/cancelation fee. If you no show for your appointment or cancel within 24 hours of your appointment time, you will be charged the fee. Thank you for understanding that the provider's time is valuable. She and her staff were very friendly, knowledgeable, and efficient. Very happy all things were handled in one appointment and I didn’t have to come back again and again. Would highly recommend this office.